Take a look around the next time you’re out in public. Doesn’t it seem like everyone around you is holding a Starbucks cup? People love their caffeine, and who can blame them? Caffeine helps give you a mental and physical boost and research shows it may also protect your heart. 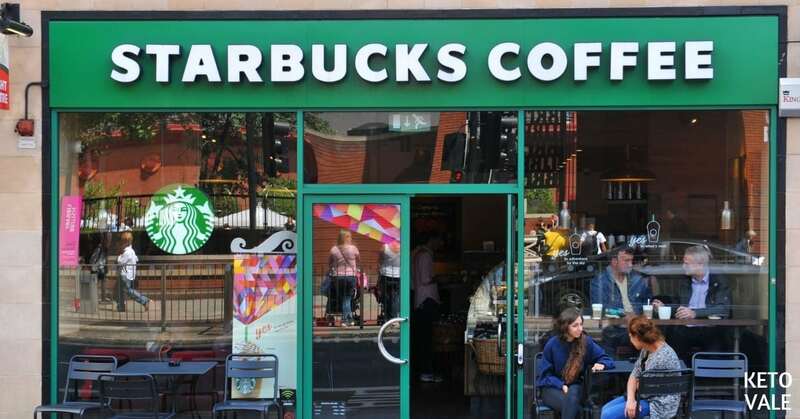 While there are many coffee shops available, Starbucks has certainly made a name for itself. Many people don’t know that in addition to being one of the biggest coffee providers in the world, Starbucks also sells food. This is great news if you need a quick bite to eat to go along with your coffee, but since coffee and sweets go hand in hand, it’s difficult to find something low-carb to go with your cup of Joe. It’s also tempting to indulge in one of Starbucks’ many sweetened coffees, such as their iced maple pecan latte or the salted caramel mocha frappuccino. Before you venture into the world of Starbucks unprepared, check out this article. 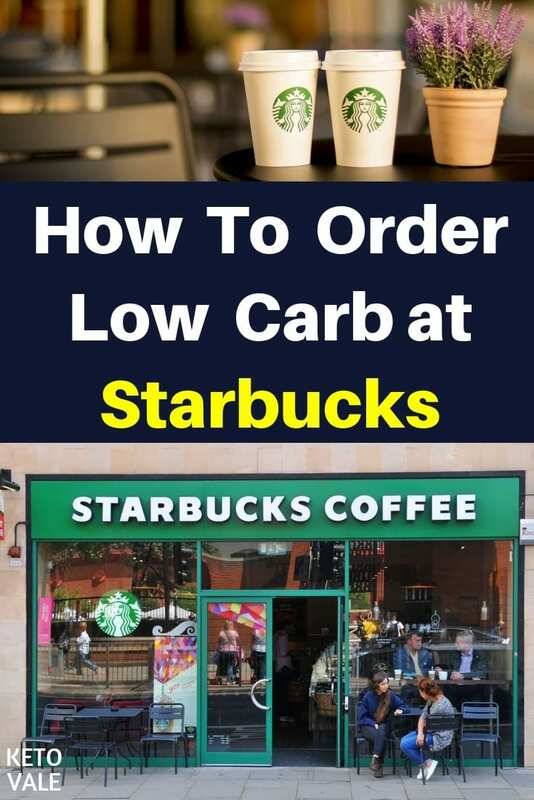 We’ve put together a list of ways to eat (and drink) low-carb at Starbucks so you won’t ruin your ketogenic diet. Quick Note: Strict keto dieters avoid the heavy whipping cream (which has carrageenan) and the sugar free vanilla syrup (which has artificial sweeteners and flavors) at Starbucks. Some people take the extra effort to just buy the black coffee and bring their own fixings for it. If it sounds too complicated, your best bet is to make your own Bulletproof Coffee at home or use these Keto-friendly Instant Coffee when traveling. This is why we always say that if you want to achieve optimal results with keto diet, it’s best to stick to a keto meal plan and cook your own meals at home using keto-friendly whole foods. Eating out is only for emergency situations and shouldn’t be a habit. The best thing you can do at Starbucks is to order a plain cup of coffee and walk away. You can even add a keto-friendly coffee creamer to it if you need a little something extra. Some people who do strict keto avoid the heavy cream or heavy whipping cream at Starbucks because of carrageenan, a food additive used to thicken and emulsify drinks. Some people even take the extra step to bring their own heavy whipping cream. We realize that’s often easier said than done. The smells alone of coffee and baked goods is enough to tempt even the most dedicated keto dieter. Luckily, you can work around this by having a plan before you go in there (or visit the drive-through). When it comes to ordering a cup of coffee, keep it simple. Don’t try to jazz it up too much. A lot of people don’t like the taste of coffee, but they like the effects of caffeine. So they try to add sugar and other sweeteners to their drink to make it easier to swallow. Starbucks takes pride in providing high-quality coffee beans. If you learn to appreciate the taste and flavor of good coffee, then you shouldn’t need to add anything to it. Try ordering a small dark roast or espresso shot and sipping on it slowly. Research shows that dark roasts contain more antioxidants and can help you reduce body weight better than light roasts. If you fancy a latte or cappuccino, then you’ll want to stay away from the cow’s milk that’s usually added to these drinks. Ask to have your hot drink prepared with heavy cream instead, which is a good source of fat and contains less sugar and carbs. If you need a drink that’s a little sweeter, try adding stevia or another keto-approved sweetener to it. Some people avoid the Sugar Free Vanilla Syrup at Starbucks because of the artificial flavors and sweeteners in its ingredients. Coffee goes great with food, which is one of the many reasons why people love it. Ideally, you should be able to walk into Starbucks, order a cup of coffee, and ignore the huge glass display of sweet treats right in front of your face. Instead, snack on your own low-carb treats. We recommend pairing a nice, bold blend with our keto collagen walnut energy balls for an energy-boosting snack that will also help you burn fat. Starbucks also has a nice assortment of tea if coffee is too harsh on your stomach. Just be sure that your tea is unsweetened as it’s easy to accidentally order a tea that has sugar added to it. Hot green teas are usually unsweetened while iced lattes and chai drinks almost always have some kind of flavor added to them. Any tea that has the word “infusion” in its name is off limits. Although Starbucks offers some food options, they still specialize in coffee. Additionally, most of their food is in the form of baked goods, so they don’t do a lot of cooking on the spot. This means that you can grab something to eat there, but it’s probably premade and you won’t be able to customize it easily or even know what the ingredients are. You can stick to your low-carb diet by ordering a sandwich or protein box and tossing the bread, but Starbucks probably won’t be able to accommodate your request to hold any sauces or ingredients that come on your food. This means you’ll likely have to do a lot of the work yourself by tossing the bread and scraping off any unwanted sauce, so be sure to grab a fork with your order. If it’s too much hassle, just don’t order it and save your money. There are also other better low carb fast food options you can try. The menu at Starbucks isn’t big, but they appear to be expanding in places like Chicago, Los Angeles, New York, Sacramento, San Francisco, and Seattle. Like Panera, most of their food options are geared toward vegans and vegetarians with lots of Mediterranean-inspired flare, such as their Za’atar chicken and lemon tahini and grilled chicken and cauliflower tabbouleh. Some dishes aren’t available at all locations, and they take some work to make them low-carb, but it can be done! Here’s what (and how) to order at Starbucks to keep it low-carb. Lattes and cappuccinos made with heavy cream instead of cow’s milk without sweetener. Note: see our note about whipped cream and sugar free syrup above and decide if you still want it. A lot of the food at Starbucks arrives at the store premade. This means that you won’t be able to customize it or ask for items to be held on your food. For example, the egg bites might seem like a good idea, but they contain cottage cheese in them, which isn’t a low-carb ingredient. Below is a list of foods that we recommend staying away from since they contain ingredients that aren’t low-carb and probably can’t be customized. Starbucks is well known for its coffee drinks, but you can also get food there, too. While it’s easy to remember the basics of low-carb eating, it can be easy to forget that drinking sugary coffee drinks can also kick you out of ketosis. For this reason, we recommend sticking with black coffee and bring your own fixings if needed when you visit Starbucks. You can also ask to have a latte made with heavy whipping cream, which is high in fat and low in carbs. Add your own keto-sweetener to it, such as stevia, monk fruit or erythritol. Eating low-carb at Starbucks is tricky because most of their food comes premade, so you can’t customize it. We recommend sticking with a breakfast sandwich and tossing the bread. You can also order one of their sandwich or wraps and do the same, but these tend to come with sauce that you’ll also need to scrape off. The best thing you can do at Starbucks is to get your coffee and bring along a keto-friendly snack that you made at home for a high-energy meal. We have lots to choose from for your reference! All you need is a nice, strong cup of coffee with cream to go with it. Enjoy this post? Share to save it for later reference!